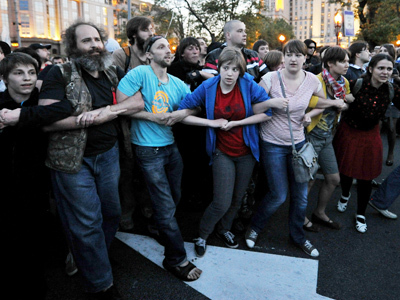 Russia’s State Duma has approved in the first reading a bill that introduces tougher punishment for organizing and taking part in illegal protests and forbids protesters from hiding their identity. 236 deputies supported the bill while 207 voted against it and one deputy abstained from the vote. The bill was originally submitted by a group of deputies from the ruling party United Russia, and was passed despite objections from opposition factions. On Tuesday afternoon the State Duma approved putting the original draft to the vote, but later agreed to make changes and vote for the amended document. 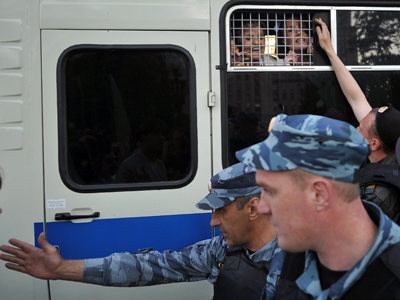 The bill suggests raising the maximum fines for violations during street protests from the current 2,000 rubles (under $30) to a hefty 1.5 million rubles (about $50,000). 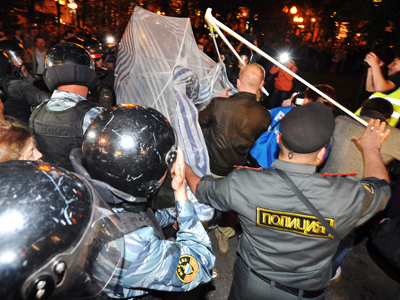 It was submitted after opposition rallies in Moscow on May 6, which got out of control with several dozen people injured, both among protesters and among riot police. However, MPs are now seeking to drop the suggested maximum fines to 300,000 rubles for individuals, 500,000 for legal entities and 600,000 for state officials. The amendments should be made before the second reading of the draft. Besides, lawmakers suggested banning protesters from wearing face masks at rallies and attempting to conceal their identity in any way. The move to lower the maximum fines was supported by the head of the State Duma lawmaking committee, Vladimir Pligin and the head of the United Russia faction Andrei Vorobyov. Vorobyov, who says the new bill will bring Russia closer to European and world standards, has also promised to hold public hearings on the subject.Pligin told deputies that the bill will not restrict citizens’ freedom of assembly as it targets only those who take illegal action. Opposition factions tried to postpone the voting, but only 207 deputies supported this move, with a required minimum of 226 votes. Initially, members of the Communist, Liberal Democratic and Fair Russia factions had intended to leave the parliament during the vote, but later changed their mind. 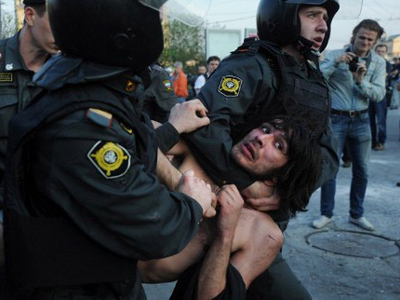 The Communists and Fair Russia still actively oppose the bill, claiming that United Russia is “strangling people’s freedom”, and calling the upped fines “an intimidation”. The Liberal Democrats criticized the raising of fines on the grounds of people’s insufficient wealth, and suggested an alternative scheme under which the heftiest punishment would be applied in the capital, with fines in regional cities and towns lower and residents of rural areas not being fined at all.